On Friday night the United States government was officially shut down after Democrats and Republicans were unable to reach an agreement on government funding. But, in a statement, press secretary Sarah Huckabee Sanders said that Democrats in the Senate “own” the shutdown and that politics were more important than our nation. “This is the behavior of obstructionist losers, not legislators. When Democrats start paying our armed forces and first responders we will reopen negotiations on immigration reform. 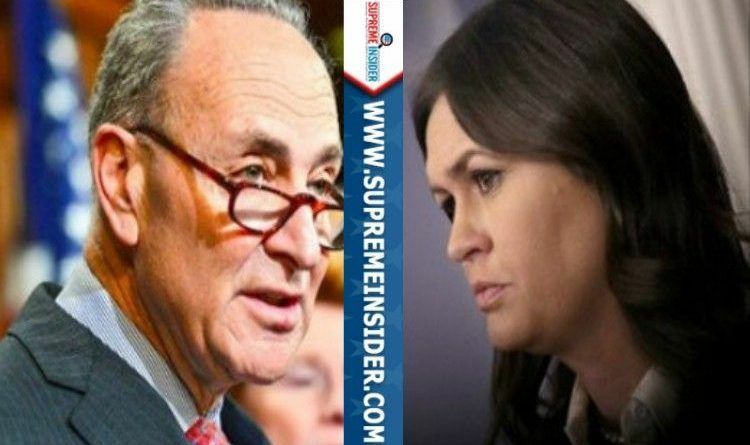 During this politically manufactured Schumer Shutdown, the President and his Administration will fight for and protect the American people,” Sanders said. Shut down squarely on Democrats as they hold unrelated and untimely DACA approval as key to budget approval. They brought it on and they own it…we will not forget when elections roll around. Will never vote democrat, ever! This latest fiasco from the Democrats proves exactly the point being made by quite a large number of people from all walks of life. They only care about getting re-elected and will do anything to do so. Putting illegal immigrants before the men and women who protect our country and its borders show a lack of moral integrity.